You truly have no idea what you are going to find on Instagram these days. Case in point: Mister_krisp. Here's a guy, presumably, that knows what he's good at. Mister Krisp can make a mean Rice Krispies Treat. However, this isn't your average every day mom made Rice Krispies Treat. Oh no, prepare yourselves for something entirely unexpected. Mister Krisp makes Rice Krispies Treats art. Imagine just about anything and you'll find it on his Instagram. What we are interested in seeing here today, however, is the fashion element. Yes, seems Mister Krisp likes a fashion moment or two. 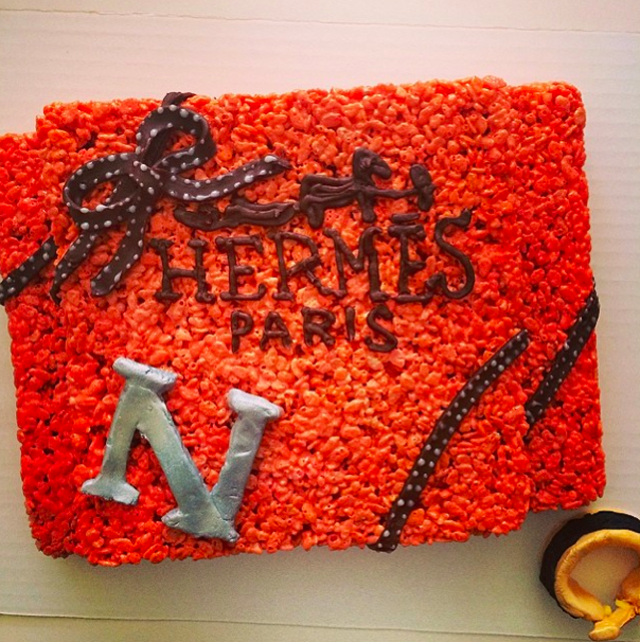 Also seems this guy has a bit of a love affair with all things Hermes. 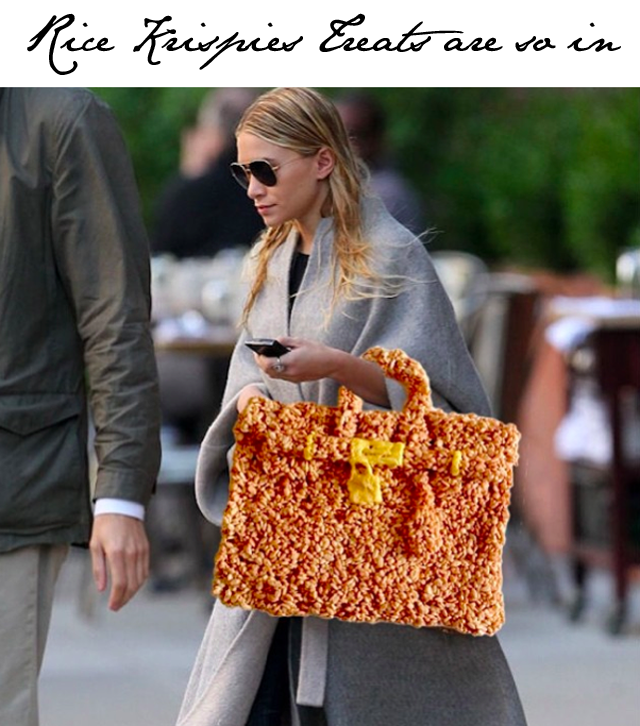 That might explain why he did a Rice Krispies Treat shaped like an Hermes Box, or made one of the Olsen Twins faux-carry a Rice Krispies Treats Birkin bag. 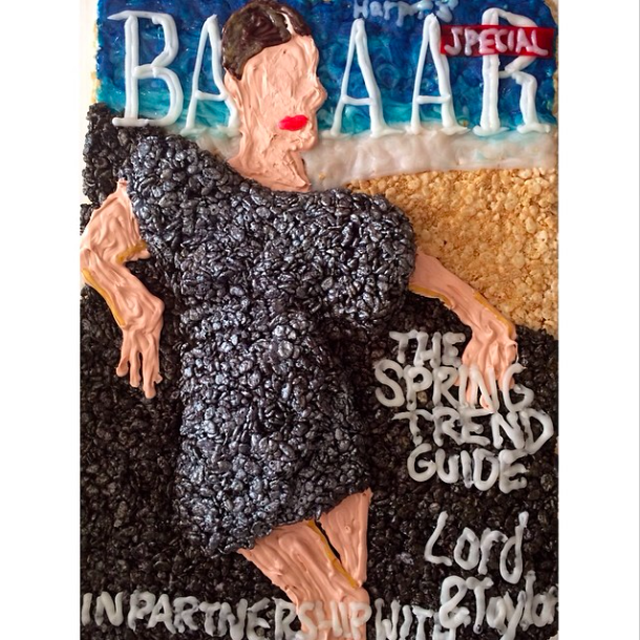 Heck, Mister Krisp has even done a Harper's Bazaar cover remake using Rice Krispies. It's all about the Rice Krispies Treats, ladies and gentleman. See you later, S'mores. Hope you have fun for a while, cupcakes, Rice Krispies Treats will take over from here. Crack, Snapple, Pop.